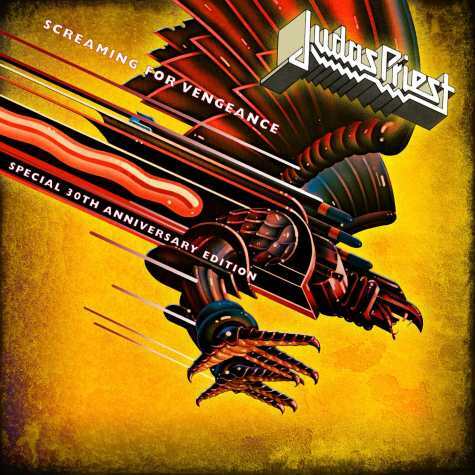 SCREAMING FOR VENGEANCE turns 30!!!! ‘Screaming for Vengeance’ was a defining album in my life. My Grandma bought it for me shortly after it came out (it was released in 1982). It is not only my favorite (and their best-selling) JUDAS PREIST record but it is also one of my favorite albums of all time. The album perfectly captured exactly what the establishment hated and feared about Heavy Metal. It was loud and empowering. That was the beauty of a lot of the early 80’s metal, it was so empowering. When you listened to SFV you felt like you were “in the know”, like you were privy to something that others didn’t understand or down right feared. You were in control and you were powerful, with your fist in the air you were “Screaming for Vengeance” and prepared to fight for METAL!!! Cowards and fools would be crushed beneath. Metal ruled and they would come to recognize that or be cast aside broken and abused. I can remember standing on my bed, headbanging and air-guitaring, while belting out the words to ‘Devil’s Child’. These days I don’t get on the bed, but my listening habits haven’t changed too much when it comes to a classic like this. Plus I am pretty sure this album was responsible for teaching me out spell “vengeance” correctly. By this time PRIEST had perfected their look and was fully clad in spikes, studs and leather. Their look was as powerful as their sound and defined the Heavy Metal look from that point forward. Even today metal bands still embrace the fashion that Rob and the gang made famous. I don’t see this as a cash grab as many re-issues are, this is an honest celebration of one of the greatest Heavy Metal records EVER! ~ by thrashpunx on July 21, 2012.